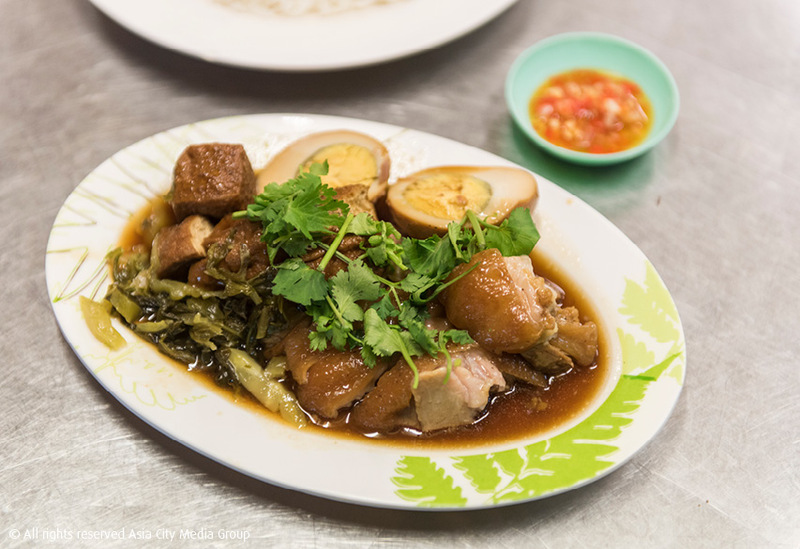 Join us on a tour of five incredible food institutions in Yaowarat. This street-food stall drew international attention when Hell’s Kitchen star Gordon Ramsay visited. 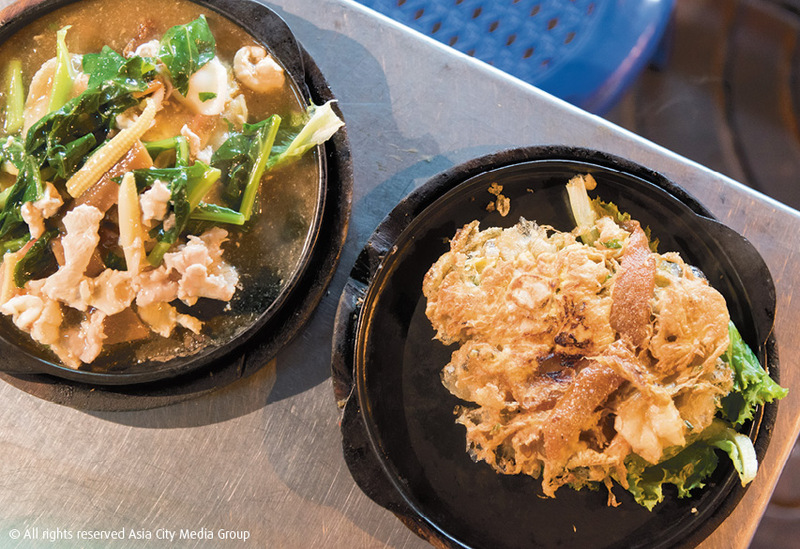 Its top dishes are rad na phu khao fai (gravy noodles cooked on a volcanic hotplate), sukiyaki, taro kua (stir-fried fish snacks) and taro kua kee mao (crispy stir-fried fish snacks). Dishes cost from B60-100. 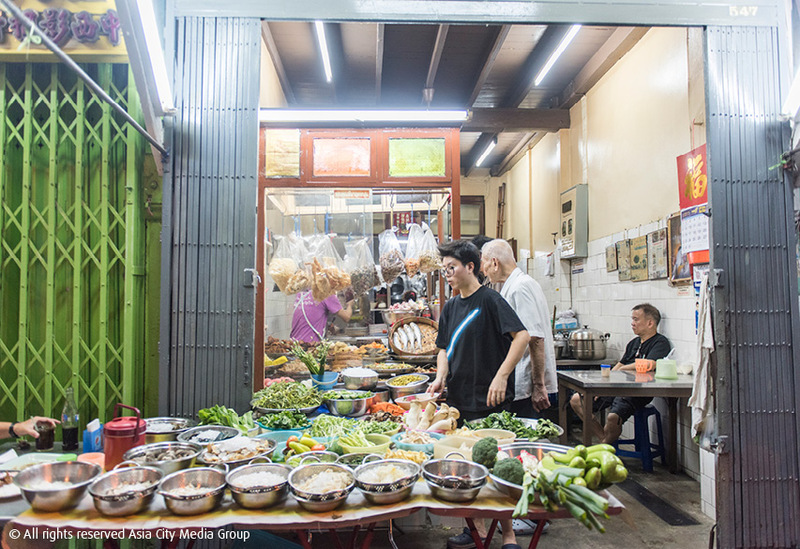 Open for only a year, this small kiosk has already won locals’ hearts for its richly flavoured bua loy (dumplings in coconut milk) made from taro and pumpkin and served with syrupy monkey apple, gingko and lotus roots as well as salted egg and oozy duck egg yolk. 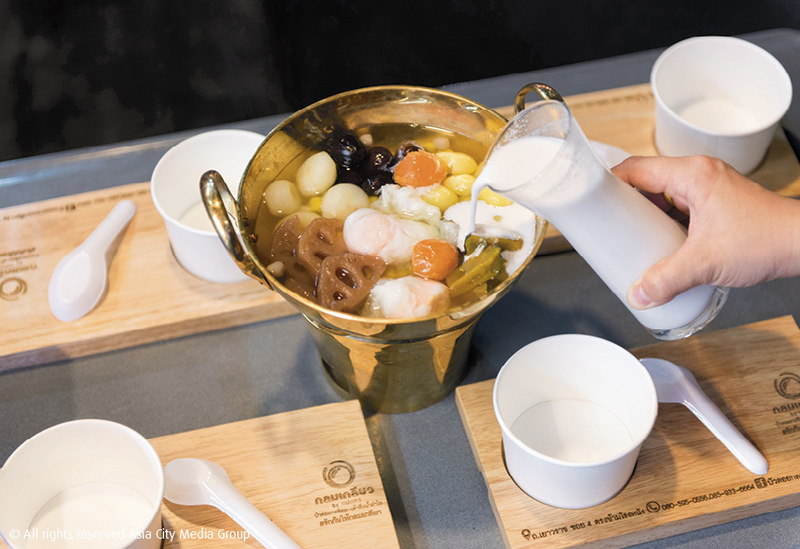 There's also a hot-pot portion (B259) big enough to share among four to five. Prices from B40. Relocated from its old spot near Siri Rama cinema (now being reconstructed as a mall) on Charoenkrung Road, Kha Moo Siri Rama is known among Yaowarat people for its not sweet braised pork knuckle under a thin layer of jelly (a result of the two-hour cooking time). Other highlights include the flavorful one-hour-stewed entrails and fried tofu soaked in the kha moo broth. Prices start from B35. Rumoured to have been around since before World War II (hence its nickname Khao Tom 100 Years), this rice soup place is run by the third and fourth generations of a Chinese family. Their ancestors’ recipes include kiam buay moo sup (chopped pork in clear soup with Chinese plum, B50), moo daeng tod (fried roasted pork, B60) and ped palo tod see ew (stir-fried braised duck with soy sauce, B120). But what Yaowarat people most recommended here is smoked duck (B150 per piece). Occupying the whole ground floor of the old-school Chinatown Rama cinema, this institution has served its signature peppery soup for nearly 50 years. Starting from B50 for a bowl of guay jub, the spicy warming broth goes best with crunchy breadsticks and crispy pork.